The Hollies has now launched Clean & Lean by Emma Wilson Fitness. A focus on the fabulous produce we have in the Farm Shops and restaurants with great nutritional benefits. Products are highlighted throughout the Little Budworth store to help you make some great choices and will be available at Lower Stretton too in the very near future. 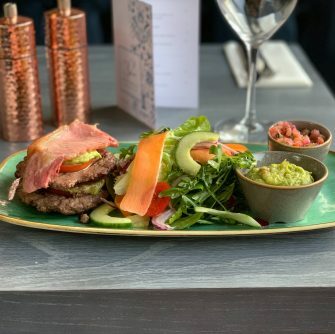 The Clean & Lean Burger, created by Head Chef Carl of 32 by The Hollies is now available for Lunch & Dinner at 32, as well at 59 Little Budworth on the Lunch & Dinner menus. The Clean & Lean Burger will be available around mid-February in The Kitchen at Lower Stretton too. 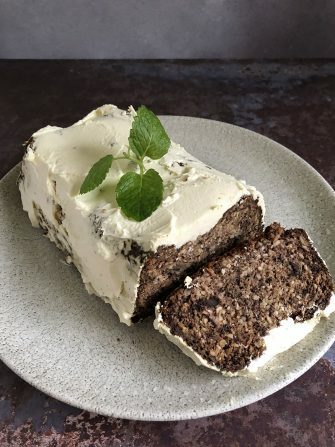 Burger & Pudding nights at 59 can now be a healthier choice with a pudding option of the Clean & Lean Banana & Almond cake. All menus have additional Clean & Lean selections too, so you don’t have to miss out on your healthy choices. Emma’s Clean & Lean plan is run in monthly programmes with daily access to Emma’s wealth of knowledge in working with your body to become efficient at burning fat and being fuelled for the life you lead. Taking a closer look at being smart with your every day foods to give you a healthier, happier, leaner body, by focusing on the impact of food on your insulin levels. This in turn not only allows you to enjoy all foods, but also offers many health benefits along the way, not just a reduction in body fat. This no nonsense, simple approach, alongside Emma’s local fitness classes & her online 5-minute weight workouts results in positive change to your body and mind. Don’t forget to read more about Mindy’s journey with the Clean & Lean programme in her Time for Change blog.